It’s no picnic scoring a table at Augusta National’s clubhouse terrace. 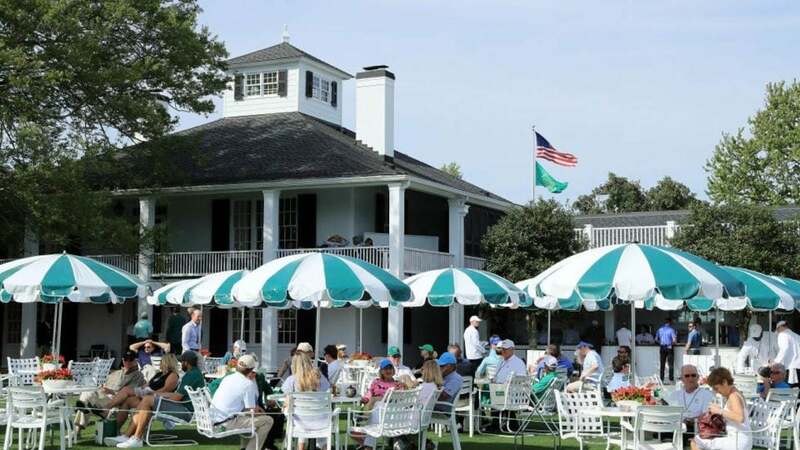 Masters badge holders are locked out of several private spots around Augusta National (Butler Cabin and The Crow’s Nest, to name two), but there’s one exclusive area where patrons can claim they’ve at least gotten a peek (if not a bite): the patio known as the Clubhouse Terrace. During tournament week, servers hustle across the lawn to fill lunch orders and dish out Peach Azaleas from the patio bar. At the tables you’ll eye an assortment of luminaries, including players and their families, green-jacketed club members, agents, CEOs and, yes, ravenous golf writers, all of whom commonly use “the tree”—a massive, 150-year-old oak situated only a few yards away—as a meet-up point. 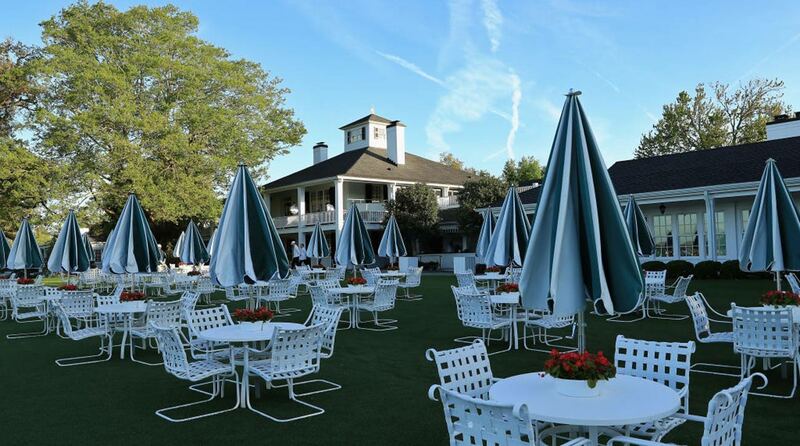 The Augusta National clubhouse terrace is a great spot to hang out at the Masters. Separating the patio from the public is nothing more than a modest rope. (And a security officer.) In one of his final Masters, Arnold Palmer was spotted at a table just inside the rope, gabbing with fans and sipping a Coke with grenadine. It’s easy to imagine the King holding court there for decades while starring in the event. After all, the only thing more fun than peering across the lawn to see who’s at a table? Sitting under one of those oversized umbrellas yourself, sipping a cocktail and gazing out at the extraordinary scene beyond.